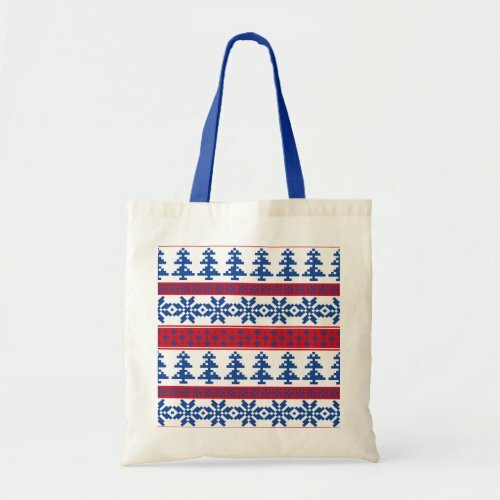 Ugly Christmas Sweater Tote Bags will come in very handy during the Christmas season. They are really useful when you have things to carry with you to some kind of gathering. I use tote bags all the time. I had six small gifts for my Bible study group and I carried them in a tote bag. This keeps them out of the weather too if it happens to be raining or snowing. 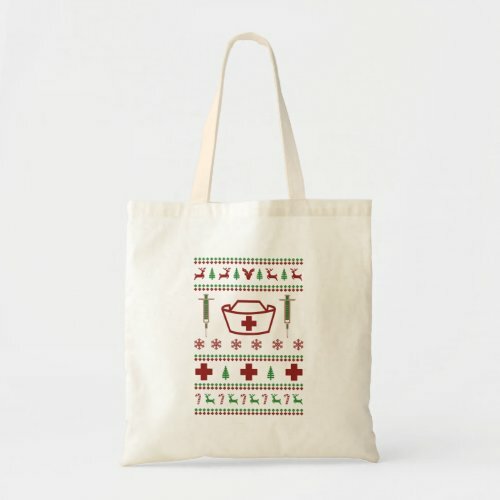 I’ve also used tote bags if I’m taking treats to a gathering. Wrap your cookies tightly, or put them in a plastic container, and you can transport them in a tote bag. If your food is in a jar or otherwise in a secure container, a tote bag is perfect. 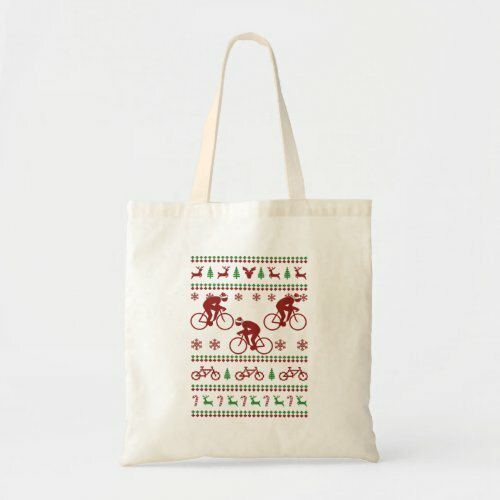 I like to get tote bags for gifts and I’ve also given them as gifts. Fill the bag up with something your recipient likes. It could be yarn, knitting supplies, crochet supplies, candy or other food, a Christmas meal, books. There are never ending possibilities! Customize your gift to the person receiving it. 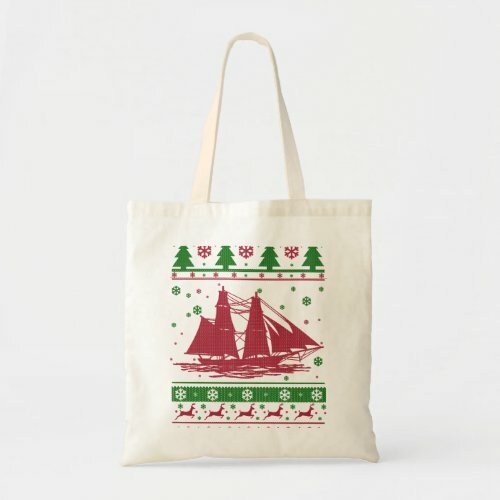 Reusable Christmas tote bags are a useful gift all by themselves. Probably the thing I use tote bags for most is to carry my groceries home. A nearby town where we do a lot of grocery shopping has a plastic bag ban. You have to take your own bags or pay for paper ones, but there are no plastic bags available. The paper bags are not expensive and I buy them occasionally if we forget our reusable tote bags, but I don’t like them very much. They’re awkward to carry and sometimes they tear. I like reusable tote bags with handles. I use tote bags throughout the year for lots of different things. I used one to take gifts for my granddaughter to the pizza place where they were having her birthday party and then they were used to carry the gifts home. I use them to carry books to and from the library. In a pinch, I’ve also used a tote bag as a diaper bag. It’s always prudent to take along a change of clothes for baby when you leave the house, not to mention all the other baby supplies you need. 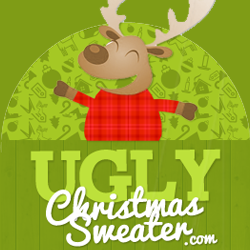 Check here for cute Ugly Sweater Baby Clothes. I should have taken a tote bag with a change of clothes for our four year old granddaughter to the restaurant last night. We went out to see the Christmas lights and then we went to our favorite Chinese restaurant. She loves the egg drop soup but she got some on her dress and wanted to take the dress off. That’s what she does at home if she gets even a drop of water on her clothing. Off it comes! We finally convinced her that she couldn’t get naked in the restaurant but she wasn’t too happy about it. 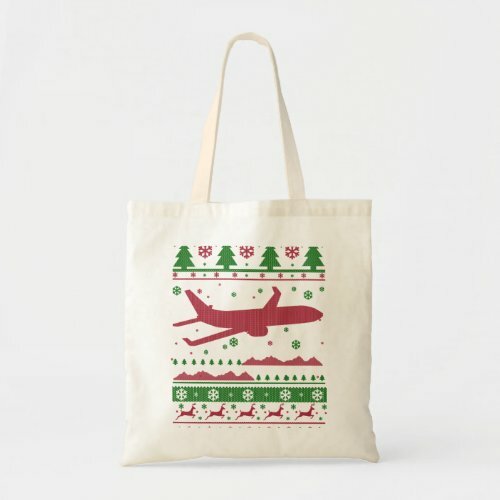 Ugly Christmas Sweater Tote Bags are great for gift giving because you can match them up with a person’s interests or occupation. 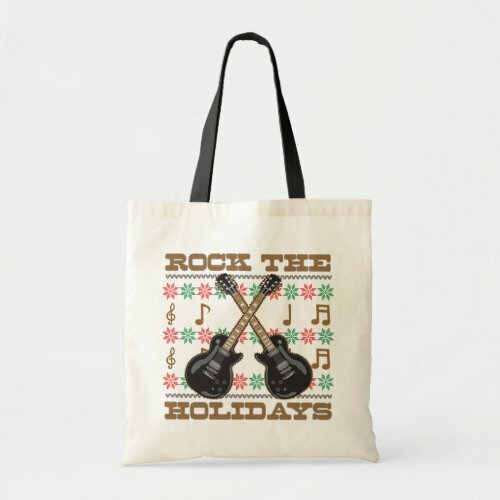 A sailor, a pilot, a nurse, or someone who plays guitar might like one of these tote bags.